At Pom Pom island, overfishing and fish bombing activities have caused unstable slopes and damaged reefs. If you ever have the chance to snorkel around Pom Pom, you’ll realize how there are many fragments of corals on the bottom. 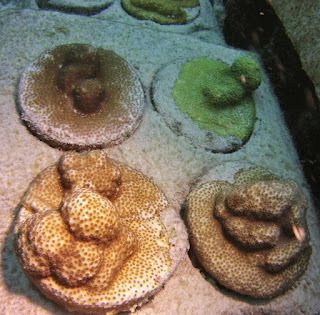 These corals will eventually die if they can’t find a spot to hold on to and grow. Here is where TRACC makes a difference. TRACC strives to produce around 1000 -2000 coral biscuits (from scratch) every year – some of which have now grown into big corals and help fishes! When I first heard the term “coral biscuits”, I thought it was a food? (Maybe I was hungry when I had that thought). But when I took my first dive and saw a couple of them on the sea bed, I was amazed. There were massive amounts of coral biscuits around TRACC’s nursery points. Before you go finding for them at Pom Pom, beware that they are actually very fragile. A slight impact could break them! Imagine how I felt when illegal fisherman bombed a huge site filled with coral biscuits?! I’ve been long enough at TRACC to call it my second home. It has all kinds of fishes, artificial corals, and cool people. I’m reflecting back on my experience at TRACC and it has been nothing but great! It’s one of those rare places where people truly feel welcomed even though that’s your first time stepping into TRACC. I’ve been inspired in some sense to further TRACC’s mission to preserve the ocean and coral reefs. Maybe I’ll get to have my own center one day? 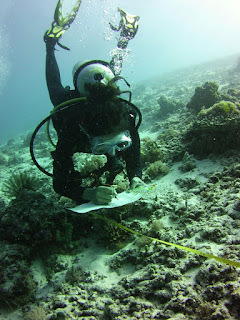 If you’re interested in coral reef conservation, TRACC would be a good place to do this. Not only do you get hands on experience on it but also get to be a part of a community where you learn about conservation. I’m not just saying that I really mean it!